CAMPBELL, Calif. – May 1, 2018 – Dasher Technologies, a leading Silicon Valley-based systems integrator, today announced the promotion of Al Chien to president and hiring of John Galatea as vice president of sales. Laurie Dasher, who established the company in 1999, will continue to serve as chief executive officer. 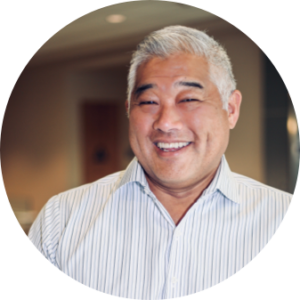 Al Chien will serve as Dasher’s president and brings nearly 30 years of enterprise tech experience. After 19 years at HP, Chien joined Dasher in 2008 as executive vice president of sales and marketing. His leadership has helped expand Dasher into one of the fastest growing IT solution providers in the country, with a 30 percent annual compounded growth rate and expansion into multiple regions in the U.S. In his last role at HP, Chien ran U.S. channel sales for the industry servers business, managing operations in excess of $2.5 billion in annual revenue and assuming sales and management roles within the channel, commercial and enterprise organizations. John Galatea joins the Dasher team as vice president of sales from Juniper Networks, where he led strategic vertical and enterprise sales for five years. Throughout his career, Galatea has held leadership roles in sales, marketing and business development that have allowed him to fully understand the reseller ecosystem. His technical expertise in the networking and security spaces makes him a true visionary and key addition to the executive team. Dasher Technologies is a premier IT solution provider that delivers expert technical resources along with trusted account executives to architect and deliver complete IT solutions and services to help our clients execute their goals, plans and objectives. Since 1999, we’ve helped public, private and nonprofit organizations implement technology solutions that speed and simplify their operations. Our strong technical expertise and vendor independence allow us to integrate best-of-breed software, hardware and services into a custom solution. Dasher is a privately-held company and certified Woman Owned Business that services California, the Pacific Northwest and the Southeast. Our integration and warehouse facilities allow us to assist our clients in both national and international deployments.